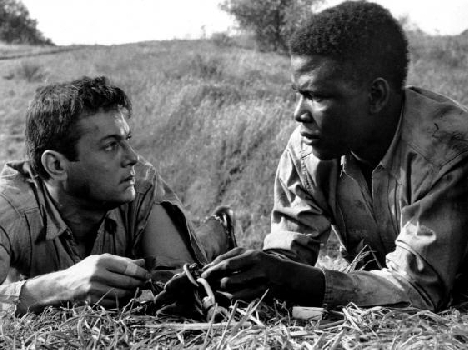 Nominated for eight Academy Awards and winner of two, Stanley Kramers anti-racist message film stars Tony Curtis and Sidney Poitier as convicts who escape, shackled together, from an overturned prison van in the deep South. The two must overcome their mutual suspicion as they are tracked by a bloodthirsty mob barely controlled by the local sheriff. In The Devil Finds Work James Baldwin praises Poitiers shattering performance but demonstrates the difficulty of sending such a message to a divided nation, observing that a Harlem audiences reaction to the climactic moment was entirely opposite to that of audiences downtown.